I went shopping for Halloween stuff today. I bought one mask and then took a lot of pictures of food. September 1st is always the start of Halloween season for myself and many others and once again this year I’m going to recommend you Dinosaur Dracula, Review the World and I-Mockery for all kinds of cool Halloween related posts over the next two months. I decided late this afternoon to go on a run around town to browse the Halloween section at various stores. The exception being I decided to ignore big box stores like Walmart and Target because I know they are slowly bring in Halloween items and haven’t gone full bore yet. So, I decided I was going to hit up a few shops I rarely ever go to. Namely, K-Mart, Party City (of which I always make multiple trips to during the Halloween season and then ignore it for the other 10 months out of the year) and then maybe a Family Dollar or a General Dollar. Are both of those Dollar stores owned by the same company? They’ve always seemed interchangeable to me. 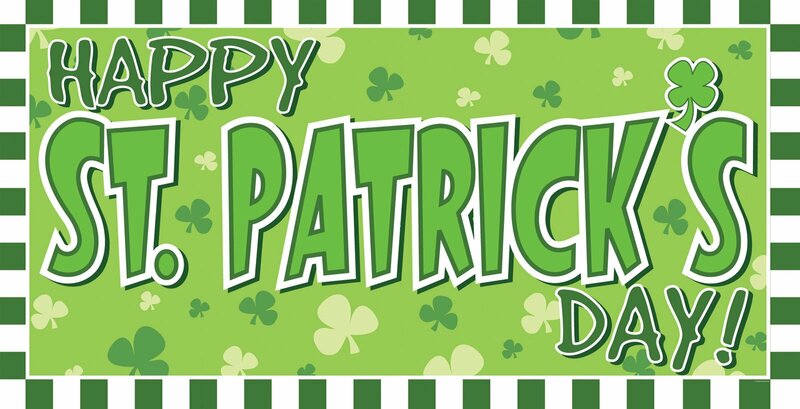 You’ll find the same cheap products, clearance items and nearly expired food at each place. How I Spent My Halloween Evening… plus more candles, Borden’s Halloween-inspired eggnog and Swiss Miss mint cocoa pudding! Listening to old-time radio shows, I’ve learned that one big tradition for Halloween parties “back in the day” was apple cider and donuts. During the various Halloween episodes of Jack Benny, they almost always make a reference to serving cider & donuts for the gang’s Halloween party. Since I don’t know a place in the area that makes/sells cider donuts (I miss you, Quality Dairy! ), this sounds like the next best thing short of dipping the donuts into the cider, which I wasn’t about to do. After I worked my second job last night (which was insane before trick-or-treating time and then deader than a zombie afterwards), I decided I would do the traditional cider & donuts along with the cliched viewing of Halloween (one of the all-time horror greats). I have to be honest, after an exhausting evening at work, when I got home around 10:45PM, I was struggling to keep my eyes open. I lasted until 11:45 and then went to bed and finished up the rest of the movie this morning while drinking coffee and eating maple bacon! Even though Halloween has come and gone, I plan on watching Halloween II (almost as good as the original) this afternoon on this lazy wet & gloomy but still warm & humid day. By the way, I picked up the donuts from the way-too-close-to-my-house-for-my-own-good Dunkin Donuts and got old-fashioned cake donuts along with some sugar raised donuts! Unfortunately, the big news in my life in the past week has been the arrival of a bunch of seasonal Yankee Candle votives. I went in search for the perfect seasonal candle last week but having already tried Glade’s Pumpkin Spice (too strong/sweet) and Fall Hayride (good but very strong as well), it was time for something different. I searched high and low all over town, in every nook and cranny, in every crook and crevice. No stone was left unturned. That’s a lie. I went to the three usual places I go for my candle fix: Kohl’s, Walmart and Target. Walmart has their heart in the right place but c’mon… it’s Walmart. They aren’t carrying top quality candles and their candles usually don’t smell so nice once you bring them home and light them up. As for Kohl’s, they carry a few Yankee Candles but mostly still have summer seasonal candles around. Target was the most exciting prospect. They have woodwick CHRISTMAS candles already but at $18 a piece, I couldn’t bring myself to buy one just yet. They also have Yankee Candles but the votives were slim pickings as well. Treehouse Memories: I’ll pretend this scent reminds me of the treehouse I never had. I had plenty of forts though! Christmas Eve (2): One of my favorite scents. Select Christmas candles are on sale at 99 cents (votives are usually priced at $1.99) so of course I bought two! Autumn Wreath: A mix of autumn leaves, cinnamon and apples. Lake Sunset: A new Fall scent this year. Described as sweetly musky and moody. I just really like the photo used for this candle. Cozy Sweater: Another new scent. Already burned through this one. I liked it but it doesn’t really strike me as something seasonal. Smelled kinda flowery. I was hoping it would compare to Glade’s Clean Linen candle (which is my favorite candle EVER). I’d buy it again but it’s not an all-time favorite or anything. Pumpkin Wreath: Described as a mix of pumpkin, apple and spices. Can’t wait to try it out. November Rain: Did they name this after the Guns N’ Roses song? I feel compelled to wait until November to light this one. Home Sweet Home: This is not a seasonal candle but its mix of cinnamon and other baking spices has always smelled like Christmas to me. Another all-time favorite candle of mine. Now I just wish Yankee Candle would get on the ball on put that 2 x 4 Man Candle in votive form. While at Walgreens, I noticed these bad boys in the Halloween aisle. They’re huge. And kinda expensive. $1.99, I think. Pity. I was hoping they’d only be 99 cents. I’ve never been a big fan of actual caramel apples. I don’t like eating apples with their skin. Plus, the last time I ate a caramel apple, a little green worm popped out and said hello. That was over 20 years ago but it scarred me for life. This is why I stick only to what I already know I like — no surprises. Anyway, I think these things are new this year. I wasn’t very impressed. The apple flavor is barely there. It’s just like eating chocolate with a caramel center to me. Though I admit adding peanuts is an awesome touch. I was so excited to eat that one and then so disappointed afterwards. It’s a great gimmick. 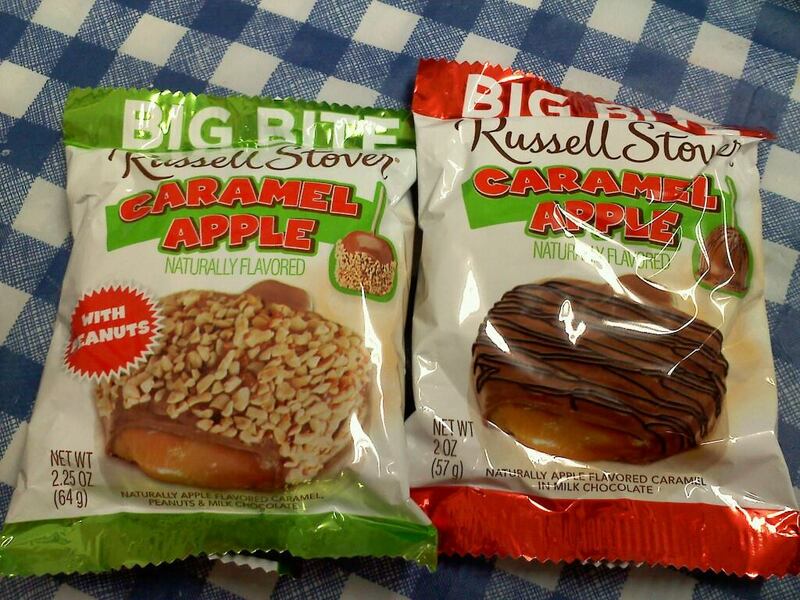 Russell Stover will trick tons of people into buying this candy, I’m sure. It just isn’t worth going back for seconds. Let’s call it a wrap with this post. I’m going to bed. 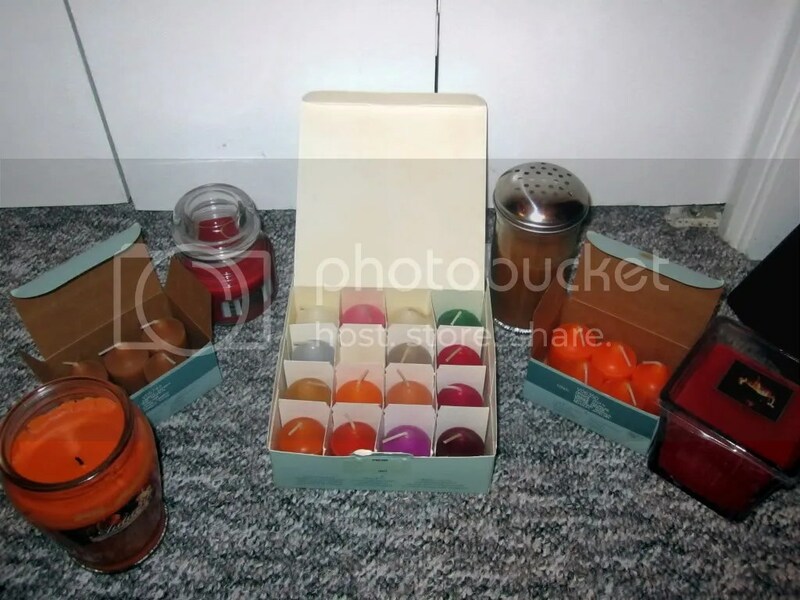 While not an “official” Halloween Scream post, unless Friday the 13th or Dawn of the Dead get officially licensed scented candles (and for all I know, maybe they already have), the fact that in August I started stocking up on seasonal candles again to set the proper autumn mood is blog-worthy. I’m a big fan of PartyLite candles. 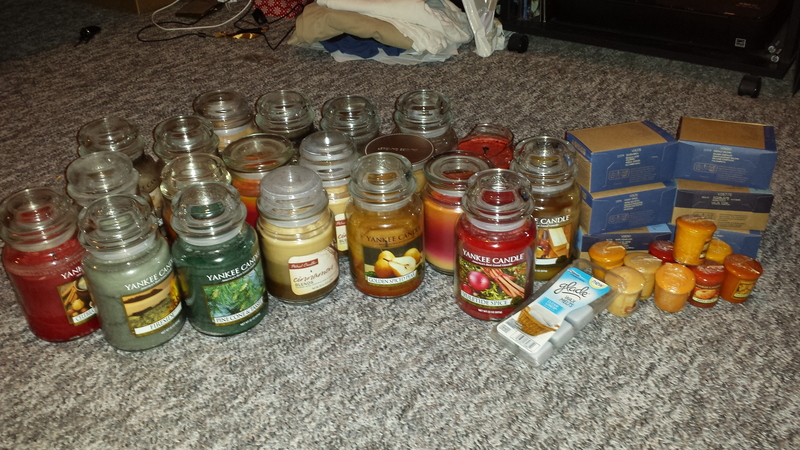 I am a candle addict and they are my dealer. We meet in dark alleys. PartyLite candles don’t produce smoke like some cheap wicks do and they aren’t crazy expensive like Yankee Candle is. Now, I’m hearing a lot of talk about Scentsy but I haven’t tried them out yet. Not really into the whole melting thing. The truth is I’m a votive man but I dabble in hurricane jars every now and then (I’m a dabbler from way back). In addition to PartyLite, I’m not above picking up a cheap jar candle (but not too cheap) and have recently found some really good ones at Walgreens. Basically anything at Walmart is terrible. They have a couple of different lines of candles (including Paula Deen) but I think most of them are a front and fall under the Walmart brand. They don’t smell pleasant at all. I can never bring myself to buy any of them, even when I’ve run out of candles at home. Now, Target on the other hand is a pretty good place to shop for candles. 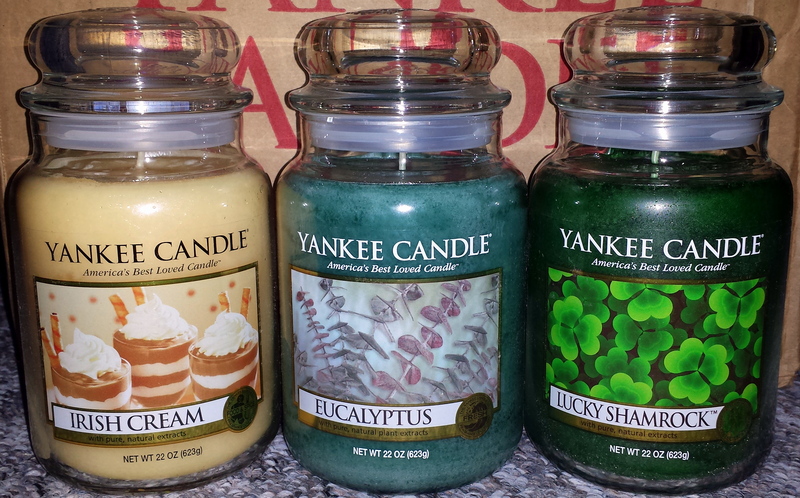 Unlike Walmart, they carry the Yankee Candle line. Expensive, but still really good stuff and they sell Yankee votives which aren’t a bad deal. Target also has their own line of candles which is pretty good and vastly superior to anything Walmart offers. Back to Walgreens, they’ve recently started to put out some autumn-themed 15 oz. candles priced at $4. One of them was a red apple candle but I’ve never been a fan of red apple scents. Why can’t we get a GREEN apple candle? They also have a mango candle but I don’t see the connection between mangoes and autumn at all. The one I cared most about was the pumpkin spice scent and for $4, I can’t complain. I’ve enjoyed it a lot. I also recently picked up a few candles there priced for clearance: a 9 0z. Sugared Pecan Pie shaker jar from the Kathy Ireland line of candles, a 12.5 oz “Fireplace” scented square jar candle from Walgreen’s own Patriot Candles line and three 8 0z. jars of “Welcome Home” (also from Patriot Candles). I actually bought one Welcome Home jar about 2 weeks ago but I loved it so much I picked up two more. 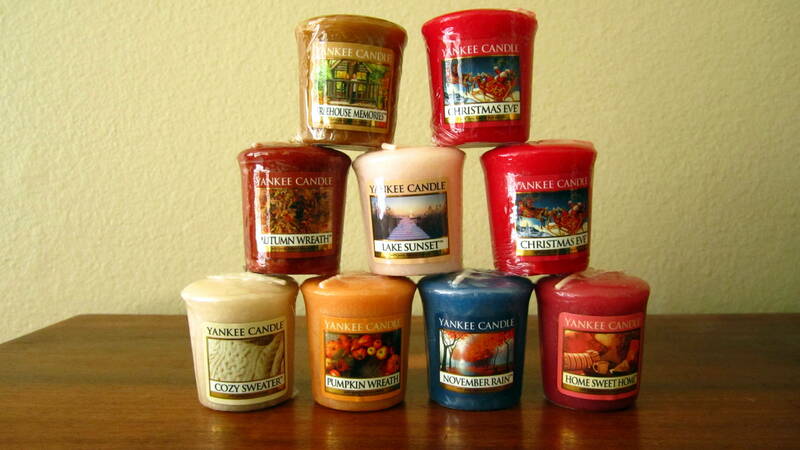 I don’t think Welcome Home is necessarily a seasonal candle but it smells that way to me. It really does smell like someone’s home, possibly during the fall. Brings to mind a roaring fireplace, cookies baking, cinnamon and pumpkin spice. Its does NOT smell like cookies ‘n’ cream as one of my co-workers crazily said. It’s definitely a holiday candle in my mind with autumn seemingly a more appropriate time to burn it rather than winter. As for PartyLite, I ordered a 16-count votive seasonal sampler (along with a 6 ct. order of both Orange Zest and Tamboti Safari). The aromas featured are: Iced Snowberries, Peppermint Snow, Holiday Spices, Spruce In the Snow, Silver Birch & Fig, Leaves of Fun (burning now), White Oak & Sandalwood, Cinnamon & Bayberry, Amber Wood & Vanilla, Apricot & Fig, Ginger Pumpkin, Pomegranate & Cassis, Clementine & Clove, Spiced Cider, Sugar Plum Fairies and Mulberry. PartyLite also offers two Halloween specific scents (“Halloween Night” & “Hocus Pocus”) which I have not tried yet but intend to do so shortly. So there you have it. New candles. I’ll probably blog about them even more before the year is up. By the way, in case you’re wondering, a Friday the 13th collection of scented candles would include the standard fireplace scent & a bright red pomegranate while anything based off Romero’s Living Dead series should include some woodsy, musk and leather aromas. If you were going to create a line based on the Halloween movies — the top choice is obvious: a pumpkin spice candle!